Karl Marx famously did much of his research in the 1850s into socialism – work that would culminate in the creation of the Soviet Union, Communist China, and other political monstrosities challenging the United Kingdom to its core – in the reading room of the British Library, the elegant public space of the country's vast national library. 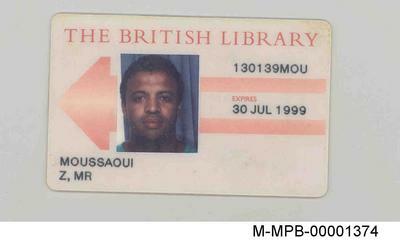 And now, we learn, Zacarias Moussaoui, who is serving a life sentence in a U.S. maximum security prison for (among other charges) conspiracy to commit acts of terrorism, spent time plotting the downfall of the West in the 1990s also in the British Library. 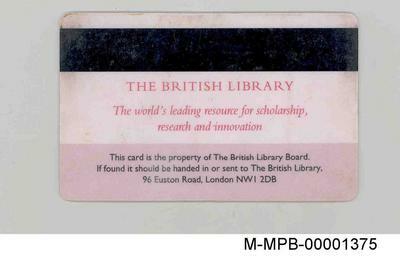 Newly released court papers from Moussaoui's trial in Alexandria, Virginia, includes photographs of his five-year British Library reading pass, which he received 1994 after enrolling in a master's degree course in international business at South Bank University.